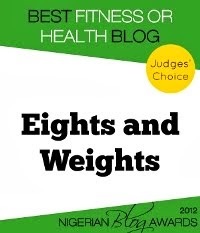 Eights and Weights: How is Your Strength Training Looking? When you go to the gym, you probably see this scenario: lots of ladies on the cardio machines (elliptical, treadmill, StairMaster, etc.) pounding hard to shed those few pounds, and then you see the gentlemen by the weights piling on as much as they can with no interest in cardio. I will only address the ladies today and explain why strength training is equally as important to help you shed those pounds. I know it doesn't seem intuitive, and I know you probably detest lifting weights, but it is necessary. Why though? What does strength training really do for you? Have you ever heard people talk about "being toned"? Well, this term means nothing more than building lean muscle mass. Strength training really serves to build this lean muscle mass, and this in turn helps to burn more calories while the body is at rest (which really is most of the time). So first of all, yes, you do build muscle with strength training. But second, this muscle helps you burn calories. Make sense? Think about it. Rather than simply slaving away endlessly at the cardio machine, you can actually make your body a lot more efficient in how it processes energy. That's pretty awesome! This is not to say that you do not need cardio, because you do, but your body would look more defined and you'd be doing your cardio more efficiently if you added proper strength training. Now, what constitutes strength training? To learn about a few strength training exercises and where to get started, review my post here. Do not underestimate the power of strength training in your weight loss.